Waterfront Homes For Sale In Inverness Florida, Homes For Sale on Lakes and Rivers in Citrus County Florida. - CENTURY 21 J.W. Morton Real Estate, Inc. The east side of Citrus County Florida is characterized by much of the Tsala Apopka Lake Chain that stretches from Floral City to the City of Inverness and to the town of Hernando Florida. 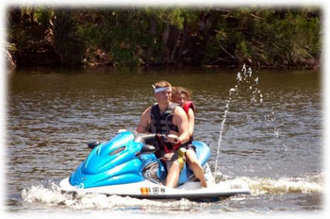 Lake Tsala Apopka offers excellent freshwater fishing, boating and recreation. 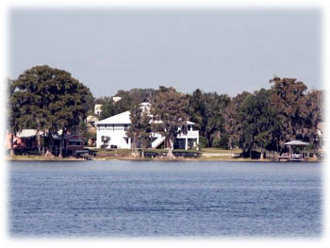 Many lake front communities exist along the areas of State Road 200, Turner Camp Road, Gospel Island Road, and Highway 41. Pritchard Island is one of the exclusive waterfront areas on Gospel Island. This 26 acre waterfront development offers a mixture of townhomes and single family homes. A waterfront home in Inverness Florida offers the serenity of being close to nature and the convenience of quick access to town. The downtown area Inverness is a hub of business and government complexes as well as quaint shops and restaurants. Many annual festivals are held in Inverness to celebrate everything from the local cooter turtles to the 4th of July. Lakeside parks like Liberty Park are the site of many gatherings and celebrations. 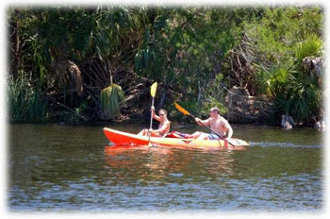 Here you will find boating, fishing, jet skiing, canoeing, kayaking, swimming, snorkeling, even an annual speed boat race. Beyond Lake Tsala Apopka further to the south east is Floral City and Bushnell Florida separated by the Withlacoochee River which forms the east boundary of Citrus County and also forms Lake Panasoffkee. 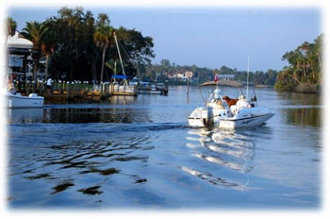 The Withlacoochee River offers many riverfront homes and is one of only a few rivers in North America that flows north. Bass fishing as well as stump knockers and bluegills offer some of the most challenging fishing and best fish fry around. For more information on lake front homes or riverfront homes in Inverness or on the east side of Citrus County contact us today! CENTURY 21 J.W. Morton Real Estate, Inc.
© 2019, CENTURY 21 J.W. Morton Real Estate, Inc.
CENTURY 21 and the CENTURY 21 Logo are registered service marks owned by Century 21 Real Estate LLC. J.W. Morton Real Estate, Inc. fully supports the principles of the Fair Housing Act and the Equal Opportunity Act. Each franchise is independently owned and operated. Any services or products provided by independently owned and operated franchises are not provided by, affiliated with or related to Century 21 Real Estate LLC nor any of its affiliated companies.